Human rights was a subject that very few people thought of during the days of the Roman Empire and beyond, besides a few philosophers, who began to grasp the modern idea we now know as human rights. However, when Europeans discovered the New World, they also discovered thousands of people, who they called “savages”. They believed that they were inferior to them, and thus did not have rights like they (the Spaniards) did. 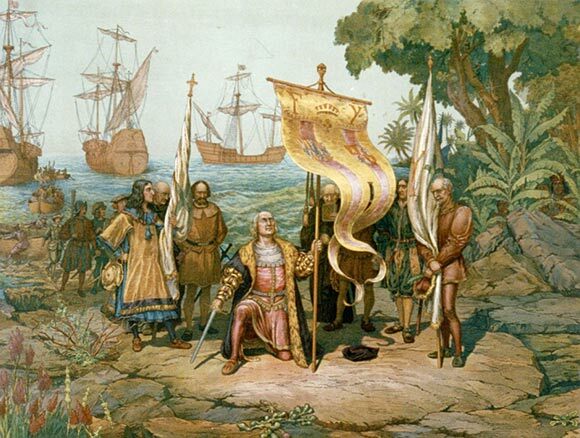 This view, however, was addressed by a Roman Catholic priest, who pointed out that these people (the Indians) did in fact have human rights, because they had thoughts, could reason, and had a sense of morals. Thus, they were entitled to the universal natural rights granted to everyone by God himself. Now to self-ownership; do we own ourselves? The answer is; yes and no. Yes, we do control our bodies; we determine where to move, where to sit, where to stand, what we want to say, what we eat, and what we will wear (of course being considerate of others and their rights); if someone forces us to do different, that is a violation of our human right to self-ownership. However, who gave us our rights? If man gives, or takes, these rights, like Thomas Paine would have said, then we would be contradicting ourselves when we say that they are inalienable, or unable to be taken or violated. There would be no such thing as a violation of rights, because, if we cannot maintain these rights, then we do not have them. So, the only thing we can turn to would be God, since nature cannot create itself and cannot guarantee us our rights. Since God has granted us these rights, he would naturally have to enforce them (he would have to deal negative sanctions). Lets address property rights. How do we determine who owns property? John Locke believed that everything is owned in common, and that when a man mixed his labor with a good or item, it is automatically his, and he can sell the item that he mixed his labor with and give it to someone else, with a receipt of purchase. Thus, the item is undeniably his. The purchase receipt proves to all comers that the item belong to the person who bought it, and people can be hired to defend the persons claim to the item. This libertarian view of property rights makes the most sense, because it doesn’t contradict itself. Lets say that the State (civil government) is the protector of property rights. The State, in order to run, has to violate property rights through taxes. So, we’ve talked about three topics; the Spanish and their early applications of Human Rights, in which the scholastics of their day pointed out that the American Indians are human, because they can reason, and thus are owed Human Rights; self-ownership, in which we discussed whether or not people own themselves; and property rights, where we determined that the libertarian view of a man mixing his labor with the raw environment and thus acquiring the rights to it. I hope you consider the above arguments. ← Why Do Plants Produce Fruit?